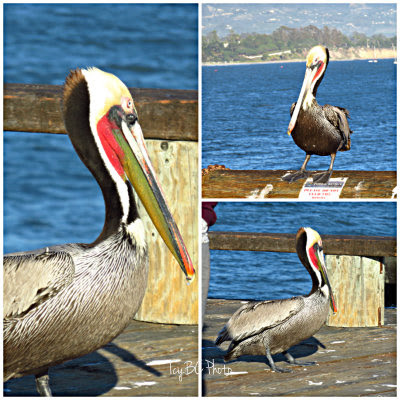 I love the colors on the pelican's neck as they are very colorful. Oh and can you see how sleek his/her feathers are? Life in the sun is GOOD! It is so good to see you here. And hope you get well very soon. What wonderful color and fantastic details. Pelicans are the state bird of Louisiana and decorate the Charity Hospital School of Nursing pin. I've always loved them. 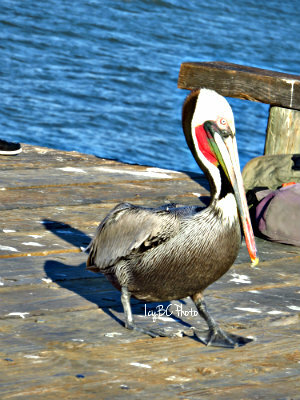 Beautiful pelicans and gorgeous photos of them. I love Santa Barbara.